It feels a little odd that I'm still posting about last winter and the exploits during the ski season. But you see, both Michael and I get to see and experience so much during the winter and find it very hard keeping you all up to date. 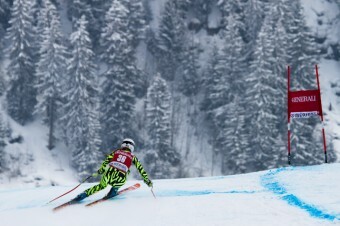 A classic example was when the FIS World Cup Ladies circuit visited Méribel at the end of February. So how come I didn't post about this amazing event before? One main reason was because the races were smack bang in the middle of the busy school holidays, including the British half term. Plus we wanted to post about other things at the time. 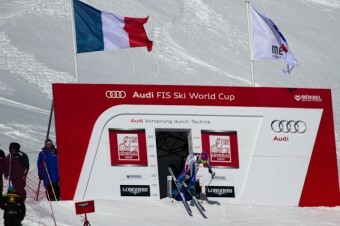 But you see hosting the FIS World Cup was a big deal for Méribel. 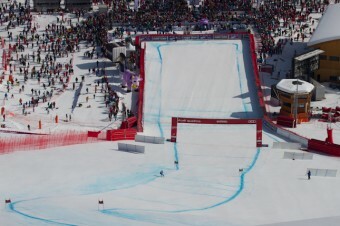 It was an opportunity to show the world how to put on professionally organised races, and it was also a test run for when Méribel hosts the World Cup Finals in 2015. I first found out about these races last year. As soon as I could I booked those two days off work in order to watch and shoot with my mate called Canon. It was probably an unpopular move on my part with the school, due to it being very busy on the mountain and high demand for instructors, but too bad. All of the locals had been looking forward to welcoming the world's best women skiers, and putting on a great show for them. 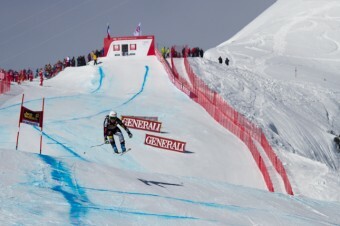 The last time Méribel hosted a top flight ski racing programme was twenty-one years ago in 1992 during something called the Albertville Winter Olympics. The biggest challenge for me was finding viewpoints from which to watch the race, and also hopefully get some decent photos. This was easier said than done because it seemed as though half of the Tarentaise, and Paris for that matter, were in Méribel that weekend watching the race. 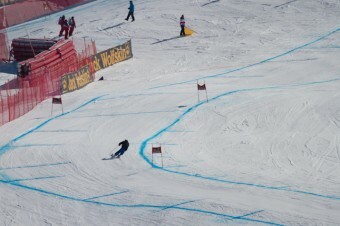 It was utter carnage in places at the side of the race piste. 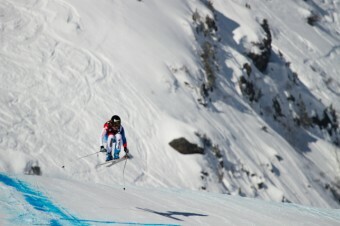 Saturday saw the running of the Downhill race, with the start not far below the ridge of the Olympic Express chairlift. The weather was gorgeous and sunny, and I took my first position over thirty minutes before the race was due to start. But then a funny thing happened. 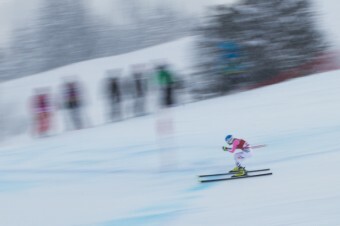 I was messing about with my camera settings when I heard a familiar voice ski down behind me on the course. It sounded like Graham Bell! I turned around and spotted him ski past on his Atomic Skis, at great speed, with a camera bolted on (just like we see him use on Ski Sunday), holding another camera in one hand with a pole in the other. He was filming his course report. I rushed a shot of him (with the wrong camera settings, doh) and later tweeted it that afternoon. I wasn't aware Graham was in town, but received confirmation when he re-tweeted said photo to his 12,000 odd followers, and later saw him in the same Barometer bar watching the 'Six Nations' rugby. Anyway, I'm going off at an angle here, and sounding like a stalker when I don't mean too !?! 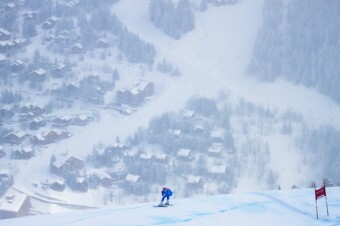 A few minutes before the No.1 bib was due to start, openers were sent down the course to make sure the course is safe. 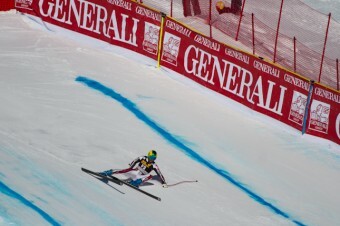 This poor chap made a bit of a pickle of it, by tripping over his own skis. It goes to show we can all make mistakes. Then the race started, and everyone was completely transfixed by the spectacle. Here are just a few photos I took that morning. 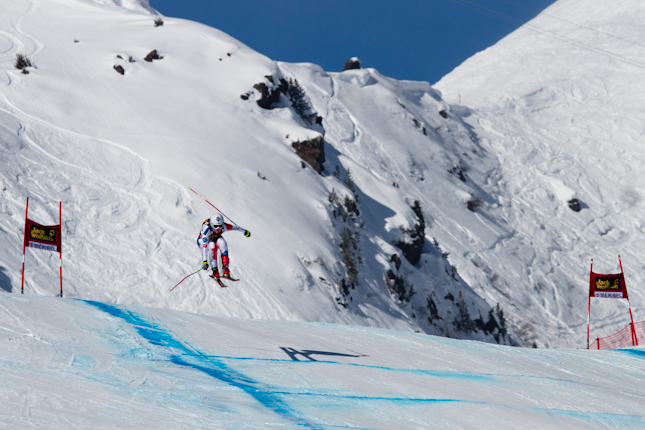 The following day on Sunday saw the race programme changed from a full length Downhill race, to a Super Combined. 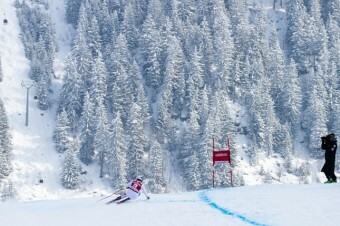 A Super Combined is where you have a shortened Downhill race followed by a Slalom race. This is believed to be the fairest way to find out who is the best (on one given day) all-round skier by using the fastest aggregate time. It had snowed overnight, keeping the course workers very busy. They all did a great job and were able to prepare the course ready for action. The start time was delayed for the visibility to clear sufficiently for safe vision. During this time I wanted to find a better viewpoint to start from. I spotted a gap in the safety netting right at the top of the course, and snuck through. Wearing my ESF ski instructor uniform often has certain advantages, and this was one situation where I'm sure it helped me. Perhaps armed with serious looking camera kit made a difference as well. Anyhow, here are a few more photos from that day. The whole weekend had a festival feel to it. The organisation of running the races was second to none. 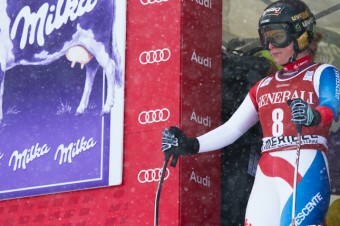 And it was a fabulous advert for Méribel as the races were beamed across the world. Later that evening I came across people's positive comments on social media about how great that evening's Ski Sunday program was, even Graham Bell's course report got a mention. I'd better stop reminiscing about the winter and get on with this summer, until the next blog post that is. If you are interested in what else was going in Meribel during this period, then you might be interested in reading the Half Term Madness post. Please feel free to leave a comment below, it's easy to do and we love to hear from you. Don't forget you can stay in touch with Facebook and Twitter by clicking on the icons. Have a great week everyone. Martin.